How to deal with Sitecore upgrade ? Maintenance of IT systems in current times is not a simply task. If you’ve ever had an opportunity to made an update of your software, you probably know that this seemingly simple operation very often ends different than you expected. That’s why tasks like that requires appropriate knowledge and some security backups. 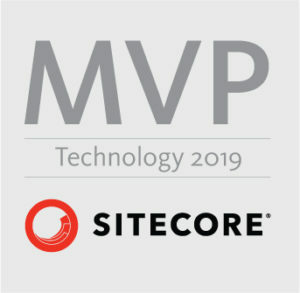 Most of software producers, including Sitecore, release updates of their software few times every year, usually due security bug fixes or with some new features. Those actions made by certified Sitecore developer usually end up with success after few hours of work. Let’s add some background to your decision. You probably know that Sitecore recently made a huge change in their architecture. Before version 7.5 sitecore was built only on one engine of database (SQLServer/Oracle ) but currently you also need a parallel instance of MongoDB for xDB. So when you want to upgrade Sitecore from 6.5 into the newest one, you have to change not only software but also an architecture of your environment. Do you really want to move through dozens of steps and architecture changes? Probably not. That’s why in those kind situations we usually choose a second way and trying to migrate all data into new Sitecore instance without using Sitecore’s guidelines. As you can see, we always have a choice. All paths may work. We have experience with both of them, so we can perform upgrade for you – we can choose the right solution for every issue. Author Łukasz SkowrońskiPosted on 18/02/2016 25/03/2016 Categories SitecoreTags maintenance, upgradeLeave a comment on How to deal with Sitecore upgrade ?